Opinions are like culos; everybody has one. 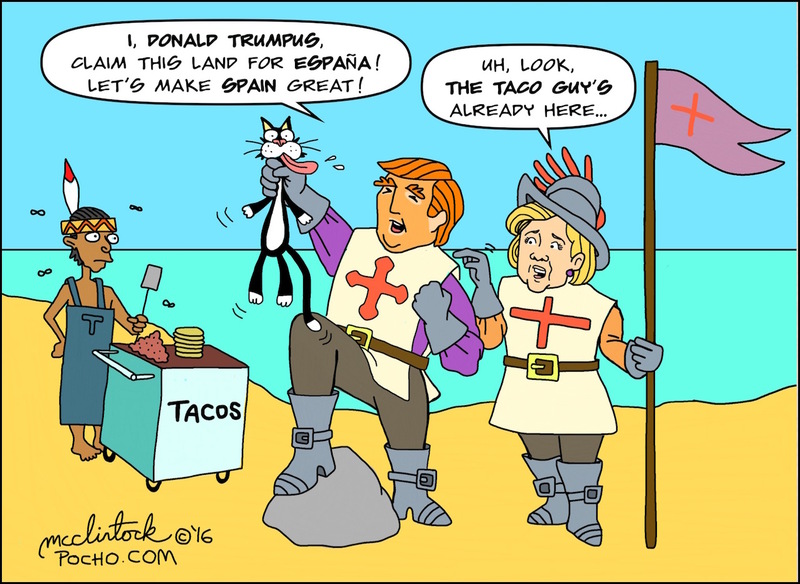 The Food Network is of the opinion that “taco cones” are the “new tacos,” for example, and Christopher Columbus thought he “discovered” a “new world.” Trump thinks he has the best “taco bowls.” Not so fast, you bad hombres! If you circumcise the tips of the cones, what is gonna keep all the juices inside? #fncravings, huh? OMG, you guys! There these shoes! Huaraches!